ANOTHER DIAMOND CAR 2004 TOYOTA CAMRY LE RED. THIS CAR WAS GARAGE KEPT IN THE GARAGE AND IT LOOKS AND DRIVES LIKE NEW.THE CAR IS FULLY MAINTAINED BY AUTO TOWN DEALER AND HAS ALL THE BOOKS. THIS CAR HAS EVERY THING AND IN EXCELLENT CONDITION VERY ECONOMIC CAR AND SUPER FAST LIKE NEW, VERY NICE VEHICLE! THIS CAR IS UNBELIEVABLE SUPER CLEAN ONLY 137369 MILES. NEEDS NOTHING! ENGINE AND TRANSMISSION AND A/C IN GOOD CONDITION AND RUNNING STRONG! ALL POWER FEATURES WORK!WE HAVE THE LOWEST PRICES IN THE MARKET.VERY VERY NICE VEHICLE!CLEAN INSIDE AND OUT AND READY TO ROLL! THIS IS AN EXCELLENT CAR. THIS CAR IS LOADED! POWER EVERYTHING! CLEAN LEATHER SEATS IN GREAT CONDITION! COLD A/C! NICE SOUND SYSTEM! NOTHING IS LEFT OUT! THIS CAR HAS BEEN TESTED, DRIVEN AND IS A SURE WINNER! CALL FOR OFFERS There are no electrical problems with this vehicle. No defects. This vehicle does not have any door dings. The vehicle engine runs very, very smooth. The condition of exterior is extra clean. This vehicle was kept in the garage. A non-smoker owned vehicle. Extra clean interior. Absolutely no rips, odors or abuse. Actual miles. The transmission shifts like it was new. There is no previous collision damage to this vehicle. The tires are in good shape and have about 95% of the tread life left. 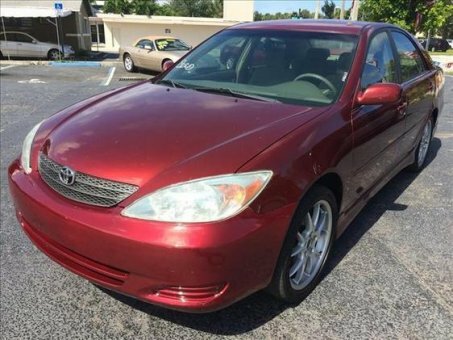 THIS CAR IS IN EXCELLENT CONDITION.IT IS FULLY MAINTAINED BY THE DEALERSHIP.